A contemporary cafe with breathtaking panoramic views over the Hamble river, the Beach Hut Café offers a comprehensive selection of freshly cooked food, ice cream, cakes, coffee and drinks. Open 7 days a week, why not relax and take in the spectacular scenery from their breathtaking Roof Terrace. The Beach Hut Café which is located in Hamble village, Hampshire is the perfect setting for an informal lunch or afternoon drink. Health and safety is of paramount importance to The Beach Hut Café, and having recently been granted permission to serve alcohol in response to customers who had expressed the desire to have an alcoholic drink with their meal, The Beach Hut Cafe contracted SBC to supply and install a high-definition 5 megapixel IP CCTV surveillance system to provide crystal clear surveillance 24/7, 365 days a year. 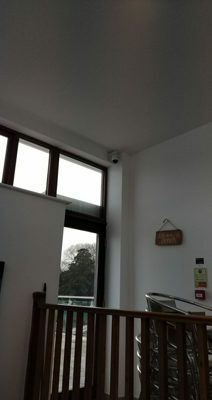 The cafe had an existing Netgear WiFi CCTV system installed as one of its security measures. However, the system was dated with pixelated images. With poor image quality, the system was not fit for purpose and did not comply to Eastleigh Borough Councils licensing conditions. 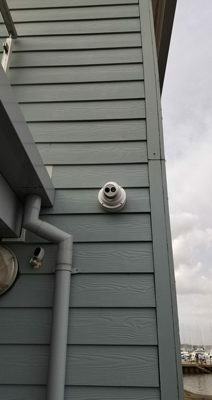 CCTV (close circuit television) installation is, nine times out of ten, not a straightforward job. Every site is different and every customer has a different set of requirements… which is where we (SBC) come in. 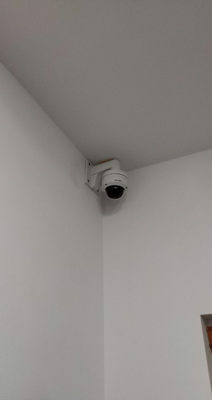 It’s a basic requirement of any CCTV installation that cameras should be capturing footage from key areas of a site – not leaving any blind spots in vulnerable areas where an incident could occur. With 1,000’s of visitors circulating through The Beach Hut Café doors every month and having recently been approved licensable activities, The Beach Hut Café in Hamble needed to strengthen its video surveillance system. Day 1: We removed the dated Netgear WiFi system and installed brand new CAT5 Ethernet cables throughout the building. 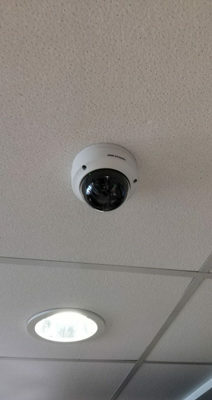 Day 2: We installed 9 state-of-the-art Hikvision 5 megapixel IP cameras which were mounted on secure brackets. 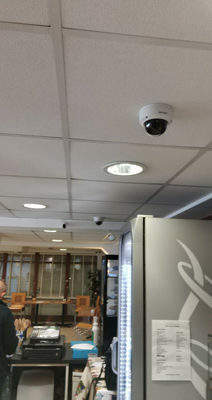 All cameras were connected to a 16 channel Hikvision NVR offering the ability to store recordings for a minimum of 30 days. The cameras were configured and setup to give The Beach Hut Café owners the ability to view and playback recordings from anywhere in the world. With the new Hikvision IP surveillance system now installed, The Beach Hut Café can effectively and reliably monitor common areas, entrances, roof terrace, stairwells, areas with high flow of personnel, as well as external beach areas in accordance with their licensing regulation. 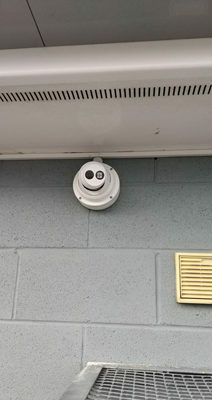 We have captured a few of the cameras that we installed to offer an example of one of our latest CCTV installations.